Some of us remember the old days, when personal finance was a laborious and anxiety ridden task. That was when one (or both!) parents would cart out stack after stack of bills, receipts and canceled cheques and strew them all over the dining room table. It was like a monthly punishment for everyone, with arguments, late dinners, and more than enough visible stress for the whole family. Thank heaven times have changed. The all night bill paying binge is a thing of the past, in large part because of computer technology. And with hundreds of financial apps now available for both Android and IOS, there’s an even greater increase in precision and speed. The only problem is keeping up the pace. The recently launched Airgo-FX app helps give you the most innovative currency services in the industry. It offers the best currency exchange rates, a branch locator, and up to the second currency conversion. 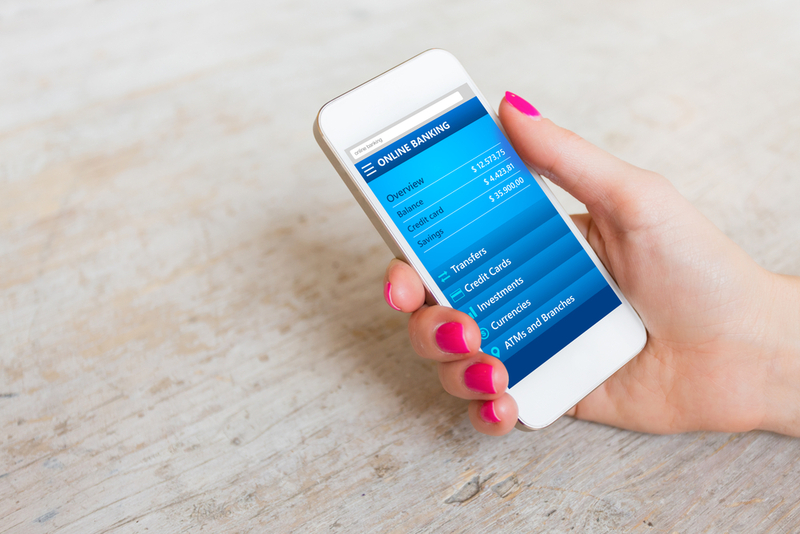 Now that you have your international payments under control, here are five other smartphone apps to help manage your other financial needs. We'll start with the basics. The Mint.com Personal Finance App is a great way to manage your personal finances in a single, convenient place. It's a budgeting tool, money manager, and investment tracker rolled into one. It lets you see where you stand financially at a single glance and helps you avoid the dangers of overspending. The Mint.com Personal Finance App will help you set up monthly budgets in various areas. It alerts you when you're approaching a limit on, say, entertainment expenses. It also tracks your spending patterns and alerts you to when this or that bill is coming due. All in all, Mint.com offers a mobile app experience that offers convenience, wisdom, and up to the minute tracking information. A reboot of the popular BillGuard mobile app, Prosper Daily adds vigorous fraud and identity protection to its personal finance functioning to give users an umbrella of information and security. In addition to offering a view of all your accounts in a single place, the Prosper Daily app also offers customized spending analytics. One of the app's most ingenious features is its "Smart Inbox." Essentially, it tracks the activity of all your credit/debit cards and bank accounts. It also alerts you of any suspicious transactions, such as purchases made beyond your geographical location. The Smart Inbox goes a long way to giving Prosper users the security they need in fast moving world. The Prosper Daily app also gives you a free monthly update on your credit score, so that you can see what impact your recent activities have had upon it. Its most basic services are free, but Prosper also offers additional levels of identity protection for users willing to pay a monthly fee. TD Ameritrade has long been at the forefront of DIY investing. Their first foray into the mobile app market was designed for the inexperienced investor, like a set of training wheels for the beginning trader. The company's most recent app, The TD Ameritrade Mobile Trader App is intended to help the more experienced investor get their arms around their DIY portfolio. This new, more sophisticated mobile app offers largely the same experience as TD Ameritrade's website and desktop applications. It allows users to trade in stocks, options, futures, and ETF's on the go, with the all same free research and support that their desktop platform offers. Just make sure that you're aware of the fees involved with DIY investing in general and TD Ameritrade more specifically, and you'll be on top of your investment portfolio wherever you go. Essentially, the Betterment Investment App is a mobile financial advisor. After asking you a few basic questions, it builds up a portfolio and does the investing for you. It also monitors your investments over time with detailed, visual reports. The fees are significantly cheaper than conventional financial advisor rates, ranging from 0.15% to 0.35% depending on how much you invest. You can begin investing with as little as $1, and the Betterment app handles every part of the investment process. It's perfect for people who think investing is too complicated or time consuming. The Acorns Investment App is one of the most intriguing tools on the market, especially for beginning investors. It's a mobile first service and gives users a taste of "micro-investing." The Acorns app is designed mostly for beginning investors, but it's still a fascinating tool. The Acorns app works like this. You link whatever debit/credit accounts you like to it and it rounds up your purchases to the next dollar, essentially investing your spare change! You can also invest outside funds in your Acorns account with recurring or one time deposits. Be aware though-- because the Acorns app tends to deal with small investments, the fees tend to be rather high in percentage terms.